Soup’s on! What? It’s August! 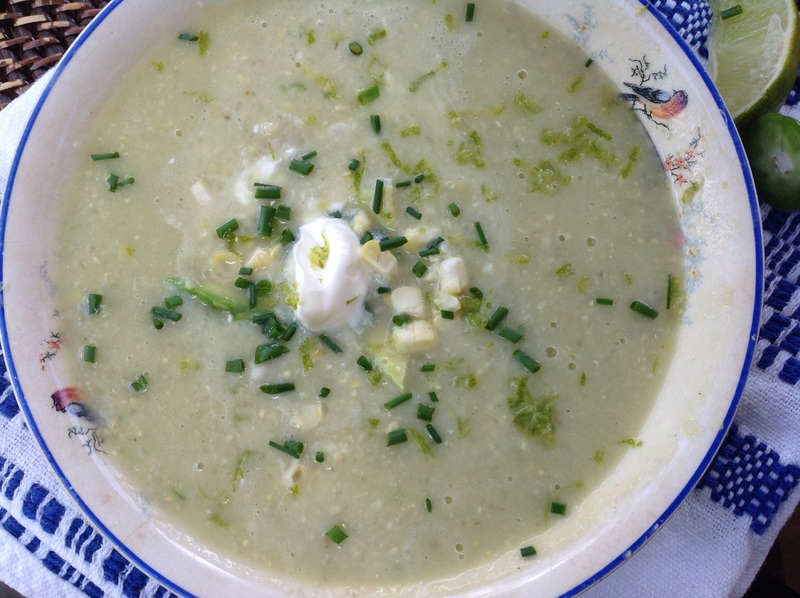 With the mercury flirting in the 90s, a chilled soup is total perfection. 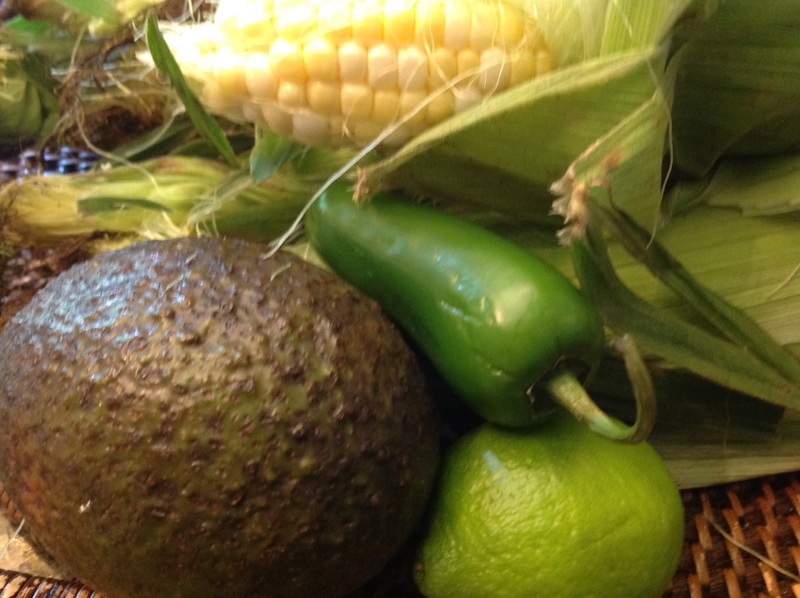 This one features seasonal fresh corn and gets a super velvety texture from avocado. The addition of fresh jalapeno pepper gives the soup a hint of heat while a splash of lime juice enhances its Mexican flair. The soup is super easy and gets you out of the kitchen fast. We served it on the day it was made but if you want to make it ahead, prepare it as directed but hold off on adding the avocado until you are ready to enjoy the soup. You can get creative with toppings: thin slices of avocado, fresh corn kernels, lime zest, chopped chives all go well. I finished the soups with either a drizzle of olive oil or a drizzle of lime crèma( sour cream thinned out with lime juice). Both were invitingly delicious! In a medium pot, slowly cook the onion in the oil until the onion is soft. Add the corn and sauté for a minute. Add the broth, bring to a boil, reduce heat and cook 20 minutes. Bring to room temperature. Transfer to the bowl of the blender. Add the avocado, jalapeno, and lime juice. Purée until smooth. Salt to taste. Give it some chill time and it’s ready to go. Top as desired with avocado slices, chives, lime zest, corn kernels and a drizzle of olive oil or lime crèma. Refreshingly delicious! 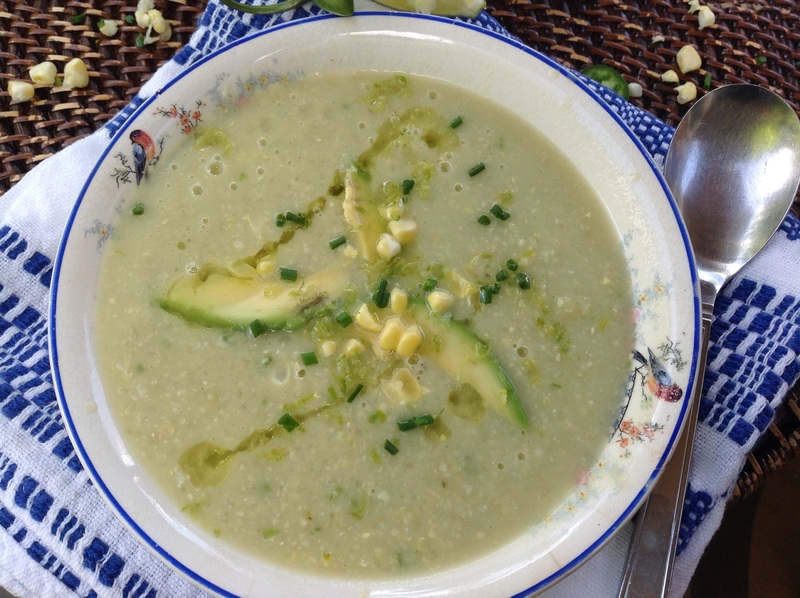 This entry was posted in Recipes and tagged Chilled avocado corn soup, chilled mexican corn and avocado soup, mexican corn and avocado soup by Johanne Lamarche. Bookmark the permalink. I will try that recipe. I just have the right ingredients !Thank you for posting it. Hope you enjoy it as much as we did Joanne! This soup looks so fresh and delicious! LOL NEVER!!!! But I’ve made more meatballs this summer than in my whole life! Nthank goodness these guys are going back to college! So fresh, lovely and robust with flavor Johanne. There’s nothing like chilled soup in the summer time is there? The flavors are so enticing, love anything Mexican. Love Garrison Keilor, we saw him live in Philly once. His voice is hauntingly beautiful! 🙂 Thanks for the shout out. You did a brilliant job! Bravo! Thank you Loretta! Love Garrison Keillor too but missed in in Philly a few years ago. You were a wonderful teacher and soooo patient with me. I appreciate your guidance in helping me offer this print feature! Just made this out. YUM! Wanted to thank you for this recipe and several others that I’ve made. Always love your photos. Thanks. So glad you liked it Bobbi! Good to hear from you. 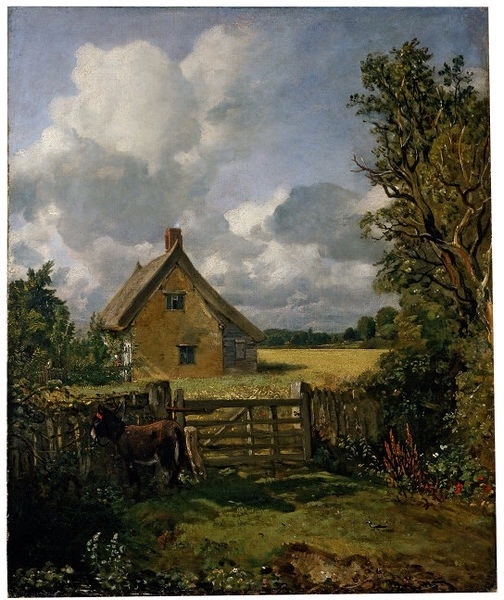 Hope you are enjoying the summer, especially this great weather we’ve been having! Just made this soup. YUM! Wanted to thank you for this recipe and several others that I’ve made. Always love your photos. Thanks.